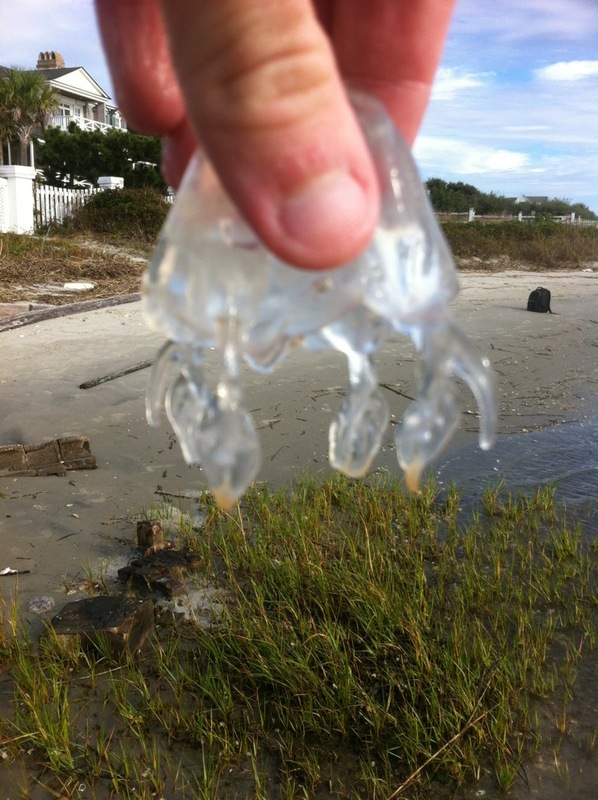 Found one box jelly here, on sand. Just after high tide. These haven't been seen past July other than my own sighting in August and now these (as far as I know of). Very strange. Good eyes to spot that. Good eyes to spot that. Thanks! Very Strange... Chirodropids in mid November? Never heard of that before.